What is Hearts for Hunger? Hearts for Hunger is a food pantry that serves the Red Lion, PA and surrounding areas which includes Glen Rock, Stewartstown, Shrewsbury, Felton, Fawn Grove, Winterstown, New Freedom, Windsor, Dallastown and communities in between. 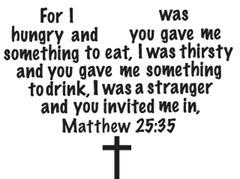 Hearts for Hunger is a Christian based group providing the Red Lion and surrounding areas hope and help thru the blessing of food and necessities.